A tie goes to the runner in baseball, but a tie in poker results in a split of the pot. Just what constitutes a tie can be confusing. Before you join a Sit-n-Go or play live poker you should brush up on what constitutes a tie, so let's look at some examples. Is this a Tie at Texas Hold'em? Suppose there are two players left in a pot. The five community cards showing on the board are 2, 3, 4, 5 and 6, two clubs, two hearts and a diamond. Player "A" turns over their starting hand and shows a 3 and 4. He had two pair before the river, but now the board is a straight. Player "B" turns over their cards and shows a King and a Queen of clubs. They had four clubs and missed the flush on the river. So, who wins? In Texas Hold'em, the highest combination of five cards wins the pot. So, regardless of the fact that player "A" had two pair or that player "B" had higher cards, the best five cards are the straight of 2-3-4-5-6, and since the game includes five community cards available to every player still in the pot, both players will use all five cards on the board to make the same hand, a 6-high straight. Thus, this hand becomes a split pot. Of course one of the players may bluff at the pot, trying to convince the other that they hold a 7 or even a 7-8 and a higher straight. That's just advanced play and not much you can do about it. Suppose three players call pre-flop, which shows 6-6-8. 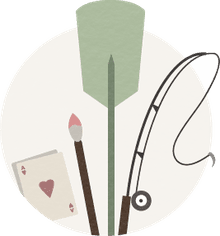 Player "A" has pocket aces and bets, called by player "B" who holds Ace-King suited and a four-flush, and player "C" who flopped four to a straight. The betting is heavy. On the turn, another 6 hits the board. Now player "A" has sixes full of aces, player be still has a 4-flush, and player "C" folds. The river is another 6, leaving a board of 6-6-8-6-6. Now the best hand is quad 6's with an ace, and both players remaining split the pot. Bummer for player "A" who's full-house dominated on the turn, but turned into a split on the river! Player "A" has two spades in their hand, Jack and 6. Player "B" has a pair of queens, one of which is a spade. In this case, player "B" wins because their final hand of Ace-K-Q-6-5-4 spades is higher than player "A's" hand of Ace-K-J-9-8 spades. 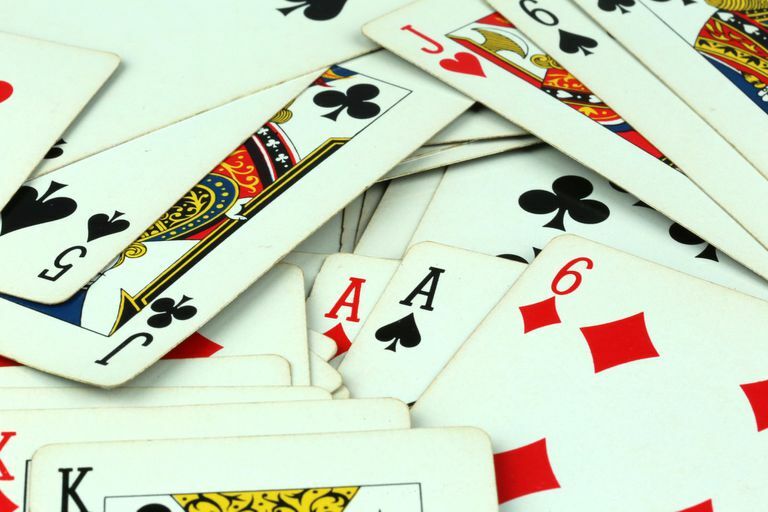 If the players had each held just a single spade in their hand, player "A" the 2 and player "B" the 3, this would be a split pot, as the final community cards of Ace-K-6-5-4 would be the highest hand. You'll start to understand these concepts quickly as you learn more advanced strategies. Looks like player "B" caught-up! Now it's a tie because the board plays and those pocket jacks and tens aren't going to be used! It's simply two-pair (Aces and Kings) with a queen kicker!